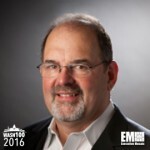 Executive Mosaic is honored to introduce Federal Chief Information Officer Tony Scott as an inductee into the 2016 edition of the Wash100 — Executive Mosaic’s annual selection of influential leaders in the government contracting arena. Scott, an industry veteran and former CIO of VMware, has also held information technology leadership roles at Microsoft, Walt Disney and General Motors. He joined the public sector in 2015 after his February nomination by President Barack Obama and confirmation by the Senate. Since he assumed federal CIO duties, Scott has led a number of initiatives that seek to transform federal IT. His office at the Office of Management and Budget issued a Federal IT Acquisition Reform Act implementation guide in June to help agencies adopt strategies that aim to drive CIO involvement in IT resource management. Scott also worked with Federal Chief Acquisition Officer Anne Rung to develop a directive on IT commodity acquisitions in an effort to bolster the government’s buying power. He also unveiled plans to address identified security gaps at agencies following a 30-day cybersecurity sprint that worked to check authentication systems across government. Executive Mosaic congratulates Tony Scott and his team for their selection to receive this award.